Every company is looking for an efficient working method. Integrating a modern time tracking software into your company is the first step to it. 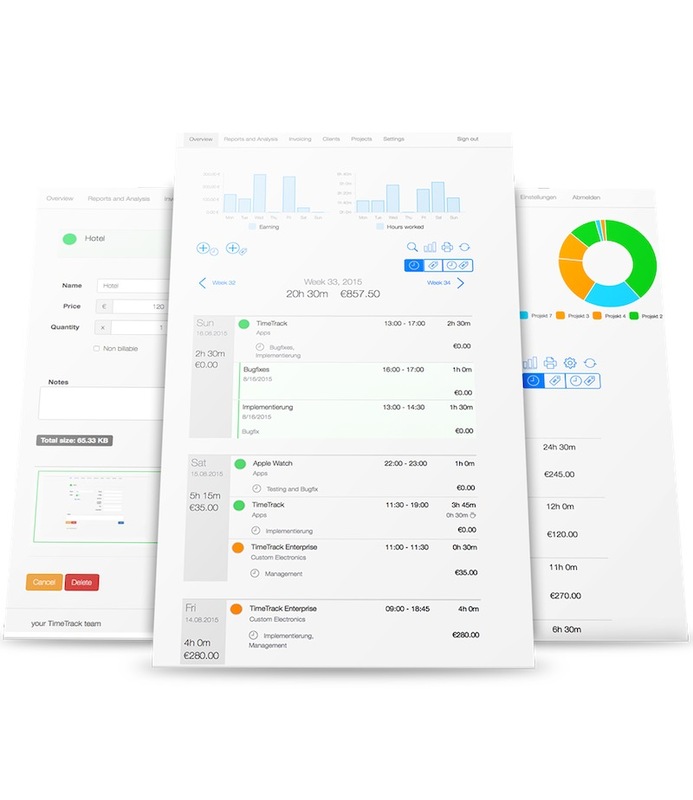 We constantly provide detailed reports and evaluations, so that you can visualize the progress of your team. 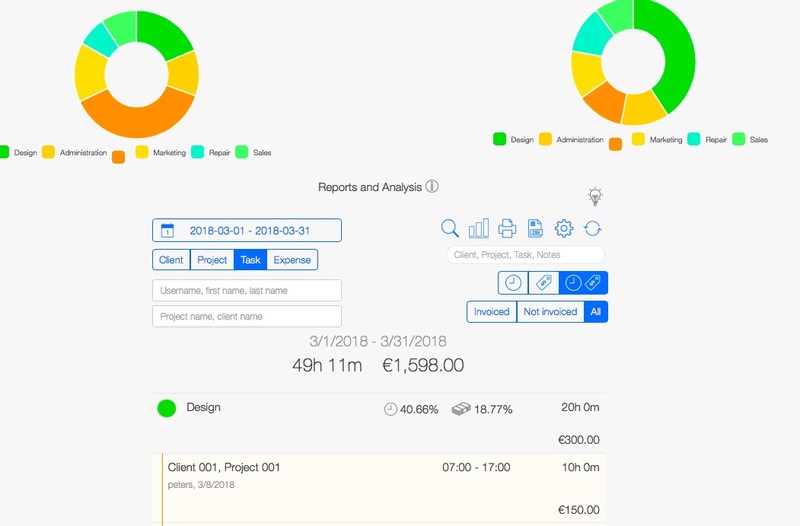 Full project reports in just a few seconds. Define the period, clients and employees involved while on the go or in the office. All the data is synchronized in real-time. We create detailed reports so that we can keep an eye on working hours, project progress and activities together. Employee evaluations are just as fast as project evaluations. This is how you find the information you need: use a filter or the search icon to accelerate the searching process. TimeTrack gives you a clear graph to help you visualize your overall performances. Check out our mobile employee time tracking for maximal transparency in your team while on the go! Together we always have the perfect overview. You need the data that was registered with TimeTrack in another software? No problem! 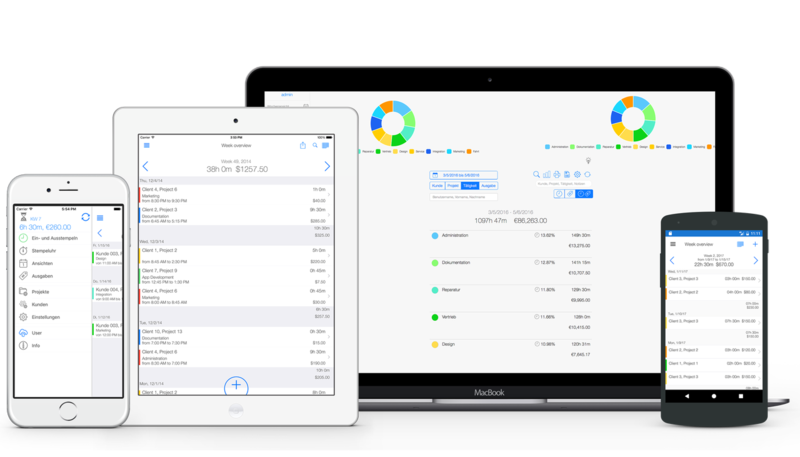 Entries can be exported easily, as pdf files or via csv/excel and can be reused in third systems. 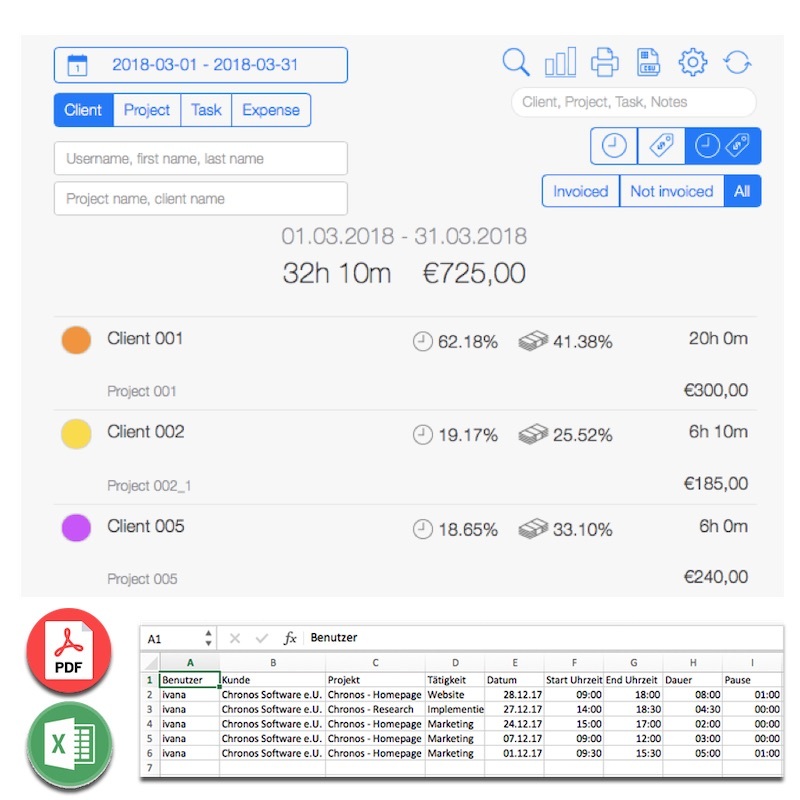 You can export data from evaluations, the timer or invoices. 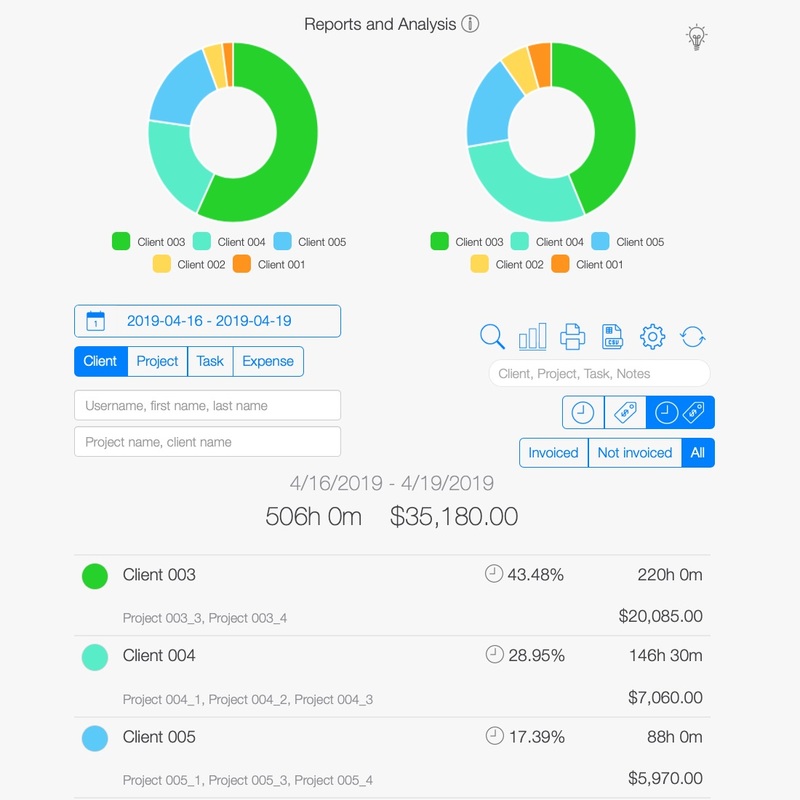 Your projects are coming to an end and you need to see how many hours you spent for a specific client? You need to know how much time and effort you put into different tasks? Use filter functions. It will help you get the wanted results quicker. We do our best to meet all your requirements. All entries are available instantly and also editable for the invoicing. We make the project evaluation easy, so that you can save a lot of time at the end of the month. We create online project evaluations and reports in only one click. The quicker you get them, the more time you have to spend it on more important activities. Our goal is to optimize your working method to improve the efficiency in your company.